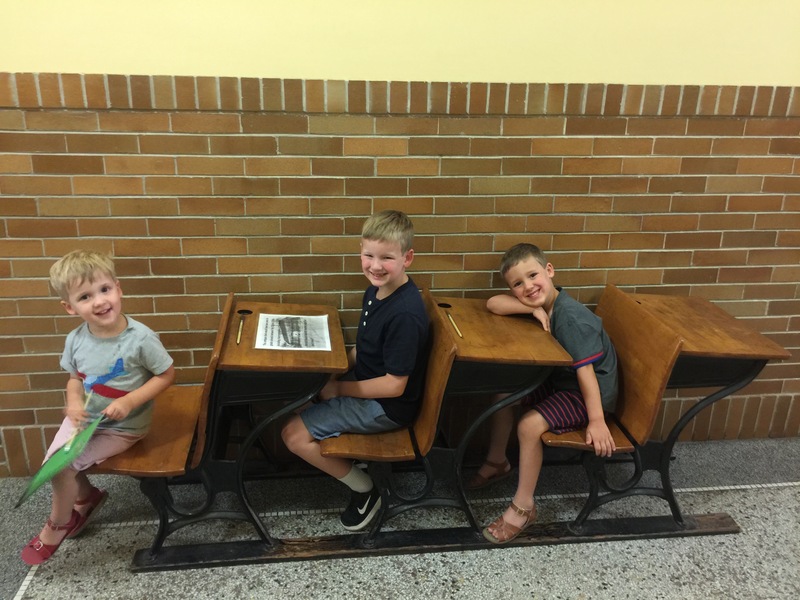 It was around 3:30 when we got to Topeka, so we drove immediately to the Brown v. Board of Education National Historic Site. 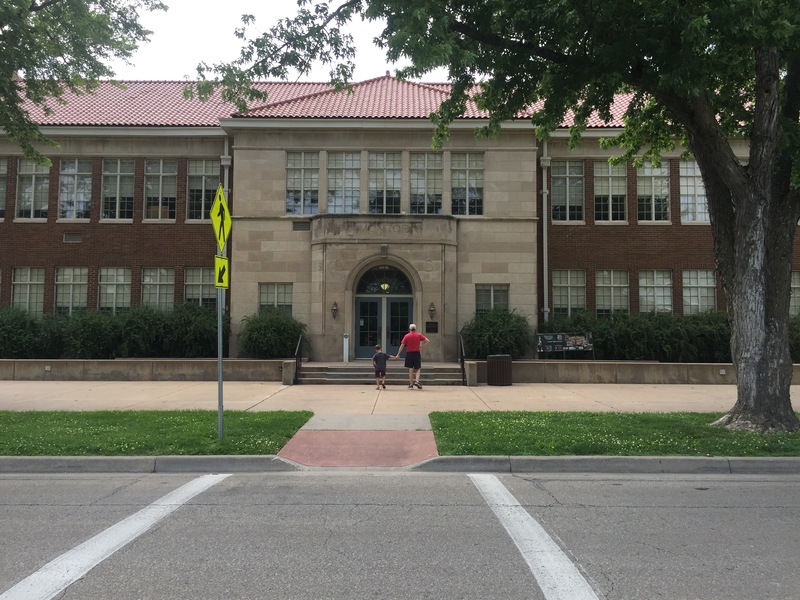 It is located inside Monroe Elementary School, which was one of four segregated schools for black children in Topeka. I was surprised by how moved I was just walking in the front door. Segregation is something I have studied in history books, and I clearly believe segregation is and was wrong. 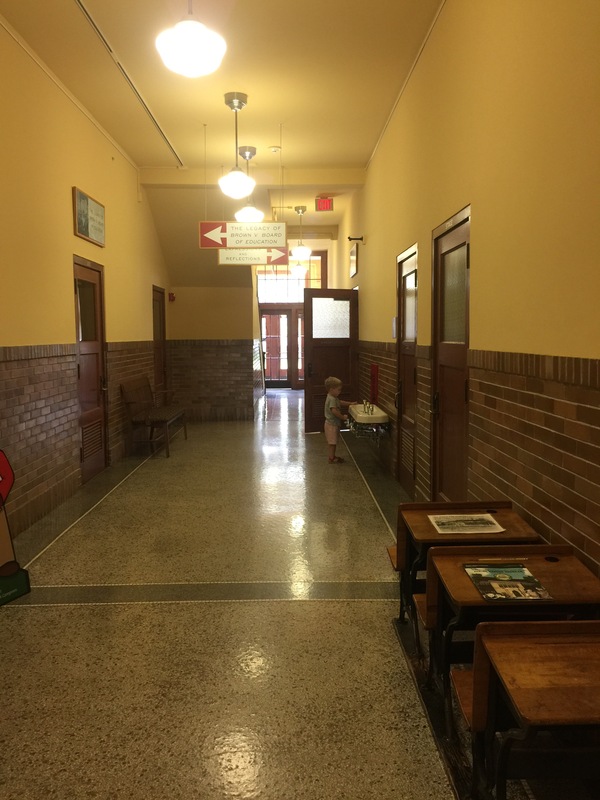 But it was different to walk in the front door and see a kindergarten classroom set up from that time period. Especially intriguing was learning about the case and that Topeka was a good test for the constitutionality of segregation because the schools in Topeka were, in fact, equally funded. Therefore, the test was truly about the negative impact of segregation itself, not just about the negative consequences of inequality in funding. In Topeka, the schools black children attended had wonderful teachers, the same textbooks, etc. however, black children might have to walk 2 miles to school, often past at least one school closer to their home, but for white children only. Anyway, the Junior Ranger program was great for the boys. Although one of my pet peeves is when my boys whine “that’s not fair” there was a video geared for children that taught about segregation in terms of fair and unfair and it definitely approached the topic in a way that was age appropriate. 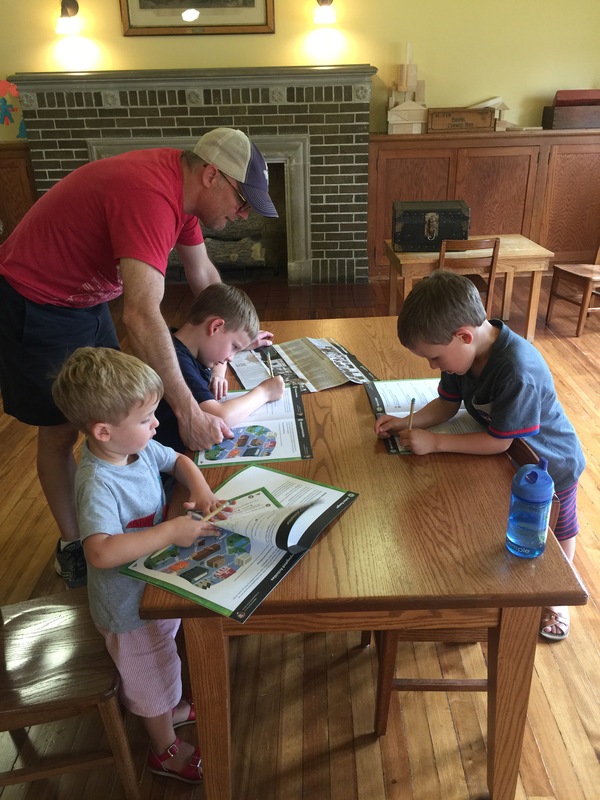 Working on the Junior Ranger program in what was once a kindergarten classroom. So precious, right? The reality is, in between working on their Ranger Badges, they ran up and down the halls of this school like crazy people. The staff were very pleasant despite my children’s best efforts at being unruly. After finishing up at Monroe Elementary, we went to see the Capitol building. It was beautiful, and we could see some similarities to our own Capitol building. There is an underground extension! We walked around the grounds and let the boys run some energy off before getting back in the car to reach our destination for the day – Omaha! 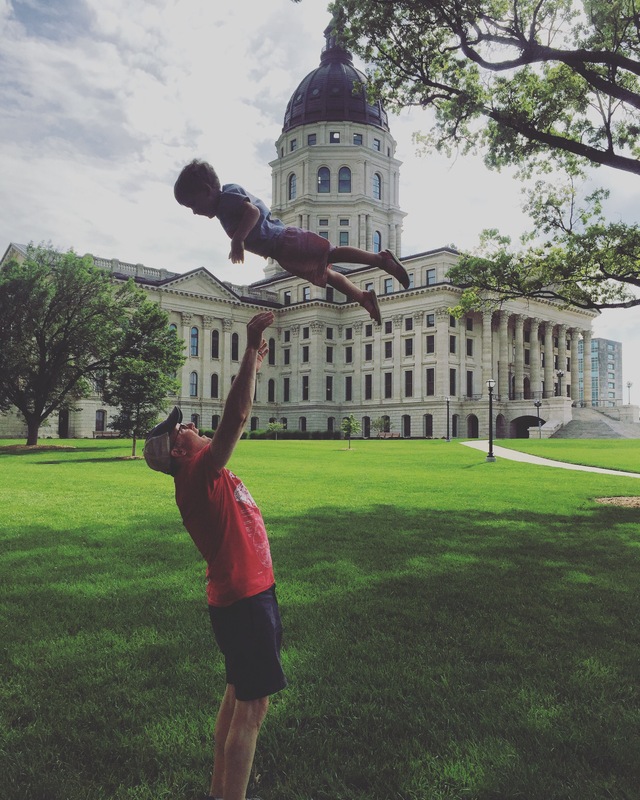 This entry was posted in Big Adventure 2017, travel, Vay-cay and tagged capitol, kansas, topeka. Bookmark the permalink.